This 2-bedroom plus den Sun City Lilac model is only 3-years old and has has a large side yard with room for a pool. Driveway and walkway are epoxy coated. Tile flooring except carpet in bedrooms and den. Beautiful white plantation shutters in foyer, cafe, dining room, great room, den, master bedroom and 2nd bedroom, Ceiling fans in great room, master bedroom and 2nd bedroom. 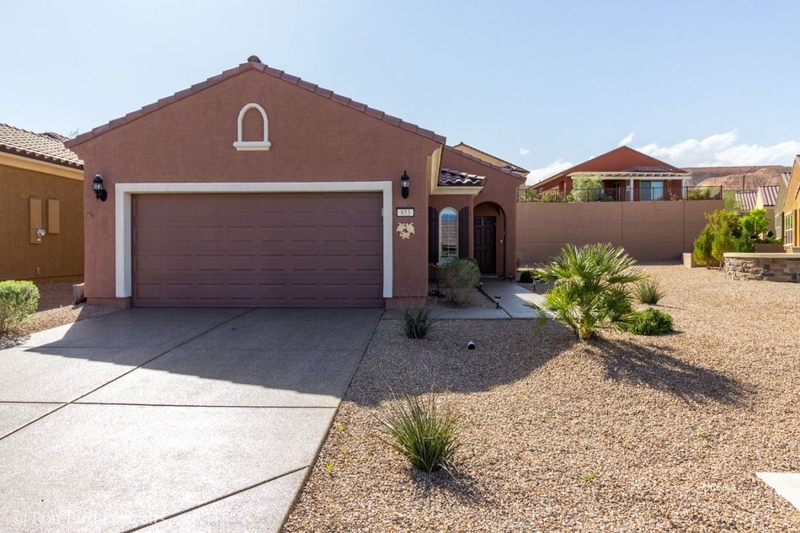 Granite kitchen countertops, stainless steel appliances, washer and dryer included, walk-in closet in master bedroom, double vanity in master bathroom. Great room is spacious and has sliding glass door to covered patio. Garage has epoxy coated flooring, water softener and lots of storage cabinets. Sun City offers Conestoga Golf Club privileges, resort-style amenities and 55+ active lifestyle with 18-hole putting course, tennis, pickleball & bocce courts. The 30,000 sq. ft. clubhouse has billiards room, state-of-the-art gym, aerobics studio, indoor pool & spa, indoor walking track, classes and 100+ clubs and activities. Conestoga Golf Club provides a scenic backdrop to the outdoor pool & two spas. Sun City residents receive golf discounts at Conestoga Golf Club and meal discounts at the 1880 Grille.